Why ALISA HOME Food Mill? Is it Flimsy or Smarter? Alisa Home Food Mill is made with BPA-FREE plastic, a safe material suitable for processing hot food and prevents staining. The stiffness of a material can make it breakable, ie more inclined to show microcracks in the constant stress points, or in case of shock. The flexibility of a material allows the instrument to vary a little its size while working, absorbing and distributing the applied forces. 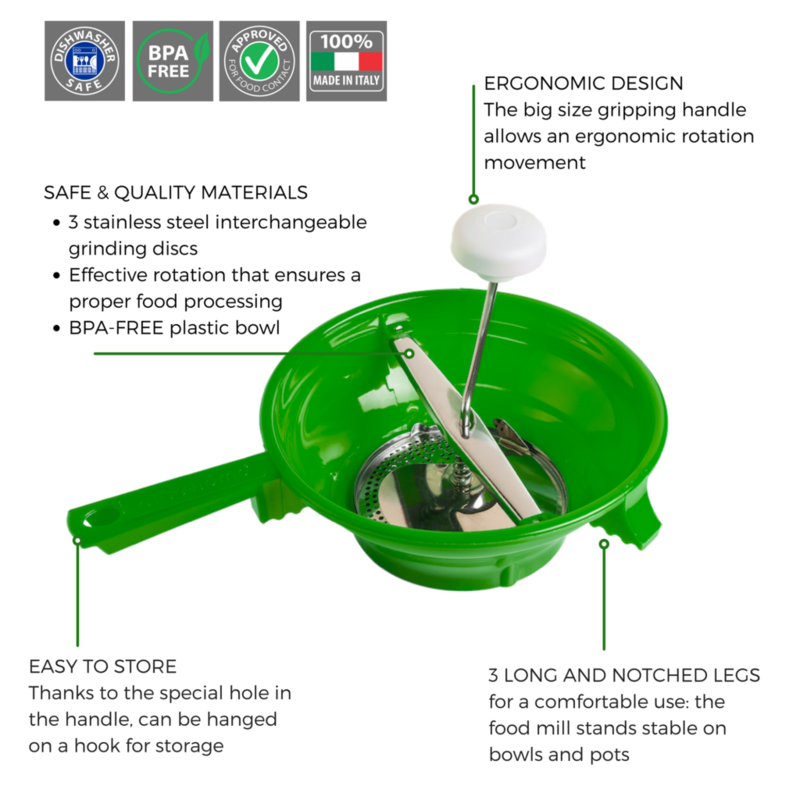 In the case of our food mill the BPA-FREE plastic bowl has a fairly balanced grade of stiffness and flexibility. This was the choice of our designers to give you a food mill lightweight, functional and durable.